We are pleased to inform that PMBOK 6 both Classroom and Live Online Sessions are started. Please Schedule your classes. 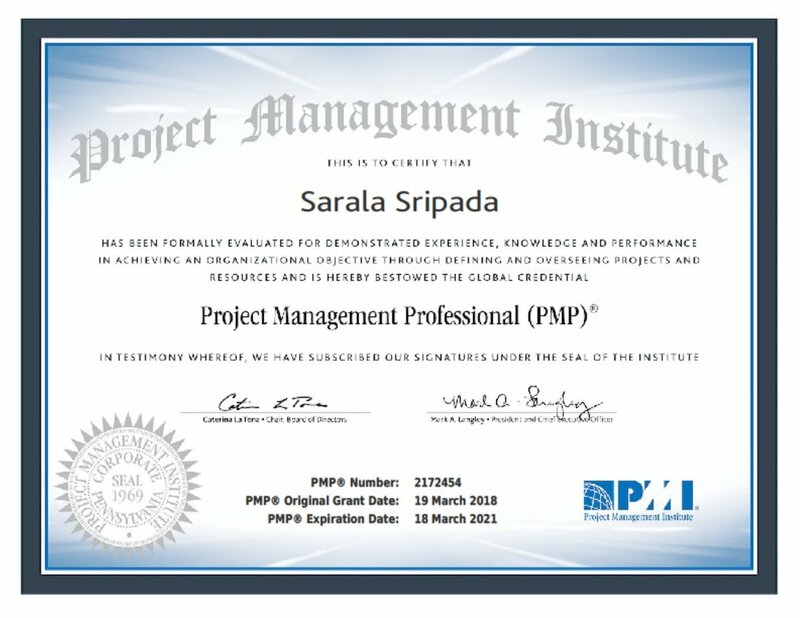 Congratulations, Sarala Sripada for successful completion of PMP credential with above target in the first attempt. 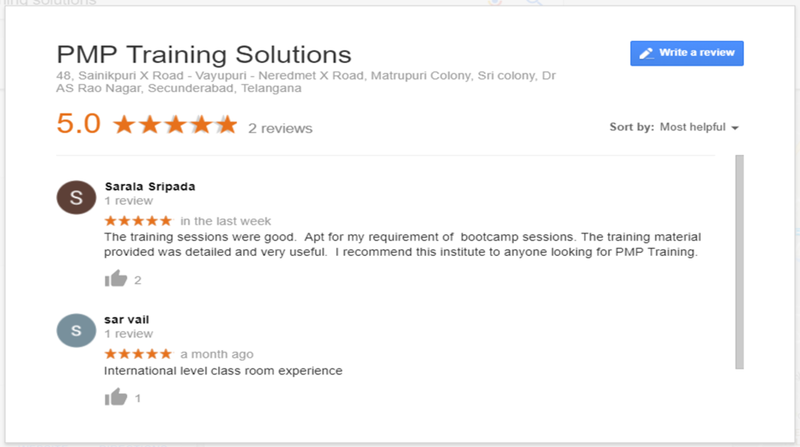 Proud to share "My Students Testimonials"